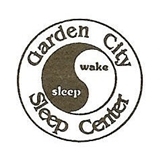 Garden City Asthma and Sleep Center (Garden City) - Book Appointment Online! Excellent doctor! His staff is friendly and they work very hard. The doctor was very helpful as well! I had a great experience. I highly recommend Dr. Gill!